Google always invents the coolest feature. For example, saying "Ok Google" to your phone and commanding it. “Ok Google” is especially useful for performing searches and other tasks like sending a text message or playing music when your hands are tied. Now an update to the Google app and Maps for Android adds navigation specific commands that aim to make the voice assistant more useful when driving. 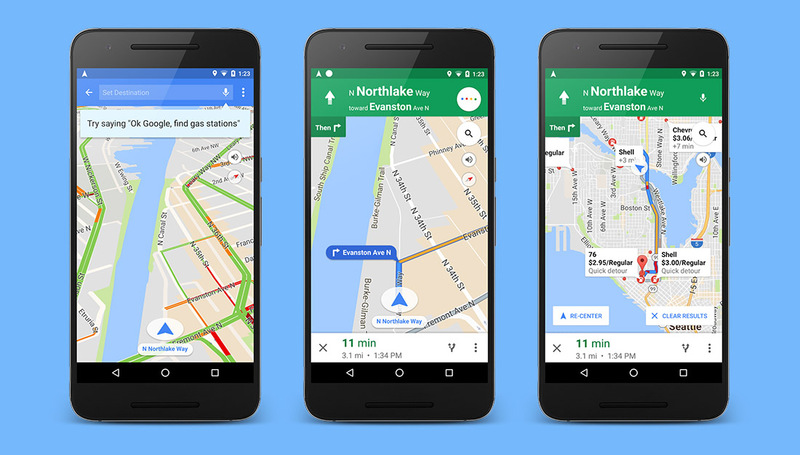 Through a new blog post, Google is doing its best to make sure you are always getting the most out of one of its greatest apps, Google Maps. The post talks about using voice commands to get you to that next destination, tweak settings, avoid tolls, and even get out of navigation if you just want to look at a map. When activated, users will be able to say “Ok Google” followed by a command when in navigation or driving mode. A white microphone icon in the top right corner reminds users that hotword detection is live. Alternatively, that button can be tapped to start a command. Voice search allows users to get directions or bring up a map of a location. Navigation commands include showing traffic, switching between map layers, and navigating to preset home and work locations. Questions like “What’s my next turn?” and “What’s my ETA?” can also be asked and will be answered verbally. System-wide functions like texting a person, finding out the weather, and showing the nearest hotel can also be accessed in this mode.